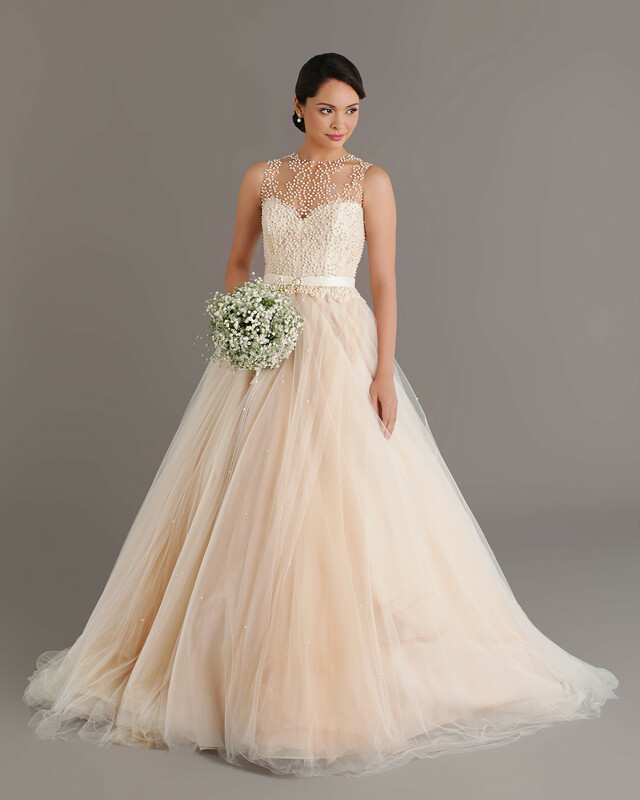 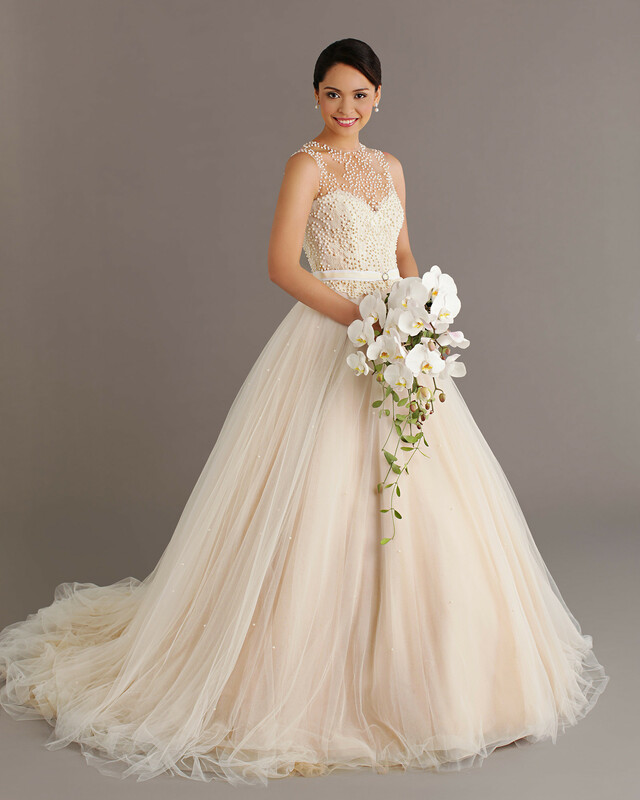 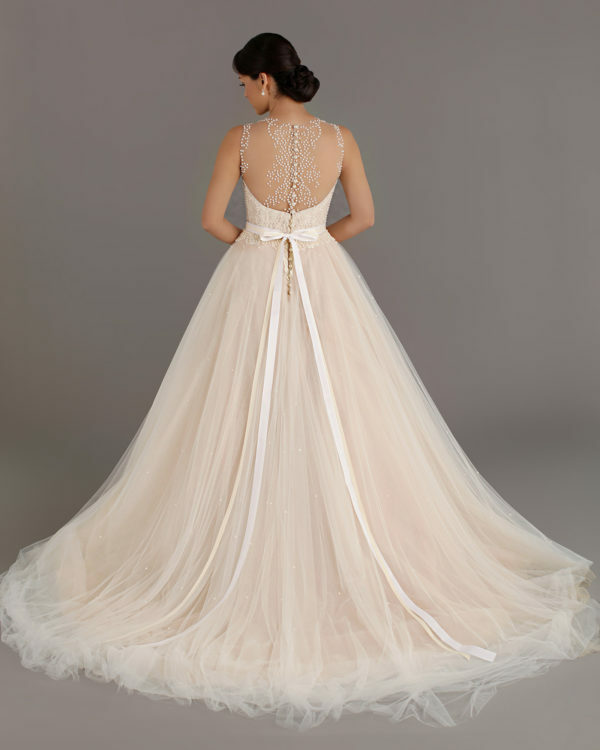 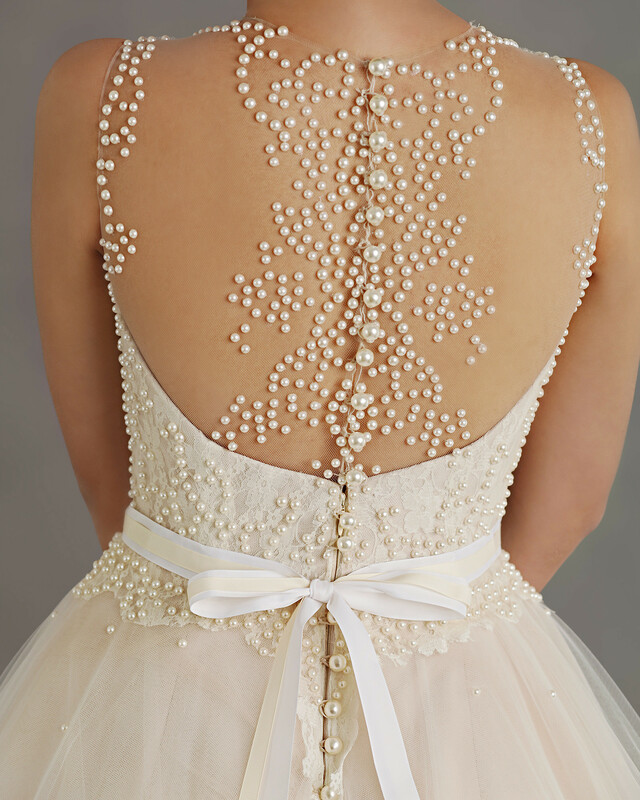 Sweet sleeveless ball gown with patterned pearl beading on the bodice and scattered pearl beading on the skirt. Dainty rhinestone buckle sits at the center of the Grosgrain belt. Chapel length train.